One of my favourite spot to have some honest to goodness western cuisine would be Outback Steakhouse. There I was again the other day at the Nu Sentral outlet to savour their new lunch fares, available from Monday to Friday, 11:30 am till 3 pm. Besides Nu Sentral Mall, Outback Steakhouse, is also available at BB Park Low Yat Plaza. 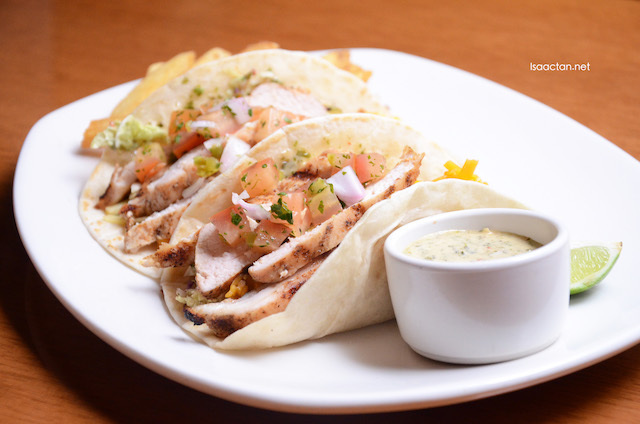 Shown above is one of their new items on Outback Steakhouse' lunch menu, the Aussie Chicken Tacos. It's unlike the usual tacos I've had, as these were packed with delicious ingredients and came in very generous portions. Served with Aussie fries, these grilled chicken tacos was filled with fresh crispy slaw, fresh pico de gallo, melted cheese and herb aioli, making up a yummy treat for the stomach. Steak, I must have them whenever possible. 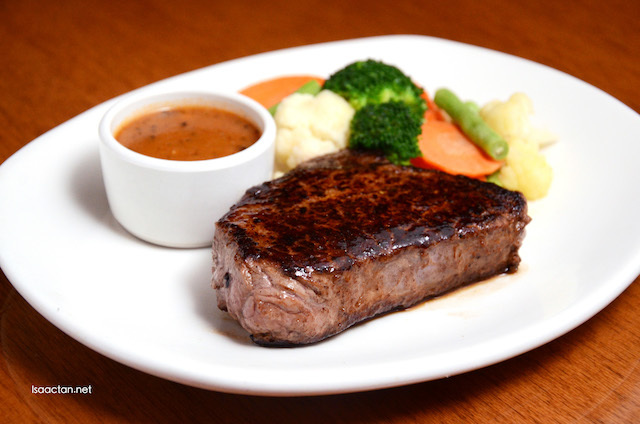 This time around, under their lunch menu, Outback is offering the Outback Special for only RM37.05. A whole 6oz sirloin seasoned with bold spices and seared just right, this went really well with my palate. I must say this dish is well worth the price. Pasta lovers would be wise to try out the Seafood Pasta. 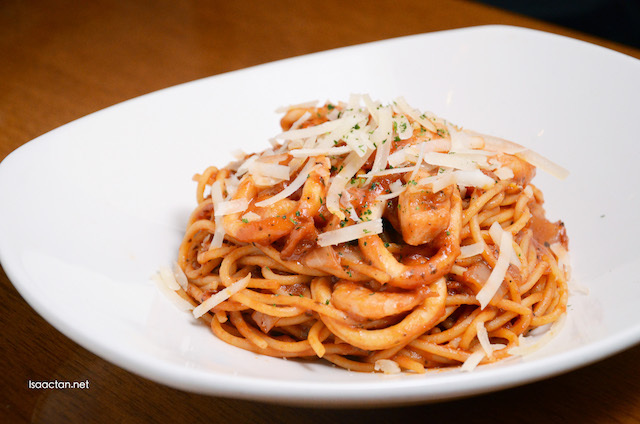 It comes with generous amount of sauteed seafood, served in pasta tossed with homemade spicy marinara sauce and parmesan cheese. I am more of a meat lover, hence this dish did not quite appeal to me, but it did go well with my fellow foodies that night. 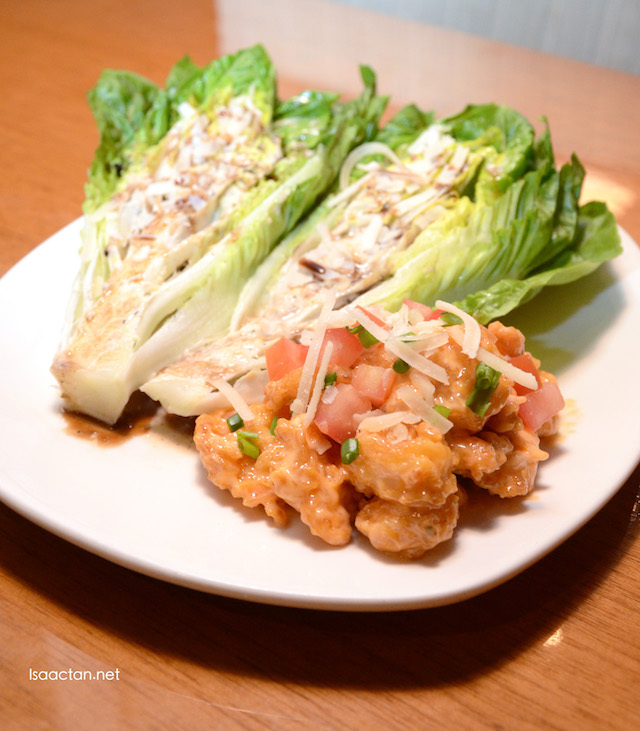 Now this dish really did surprise me, the Crispy Parmesan Shrimp Salad. It was my first time having salad presented in whole fresh romaine heart. Lots of vegetables, with Caesar dressing and balsamic vinegar reduction adding a twist of flavours to the dish. I for one truly loved the crispy baby rock shrimp served on the side, so fresh and refreshing, doused in Asian chili sauce. Chicken with cheese? Yes please. 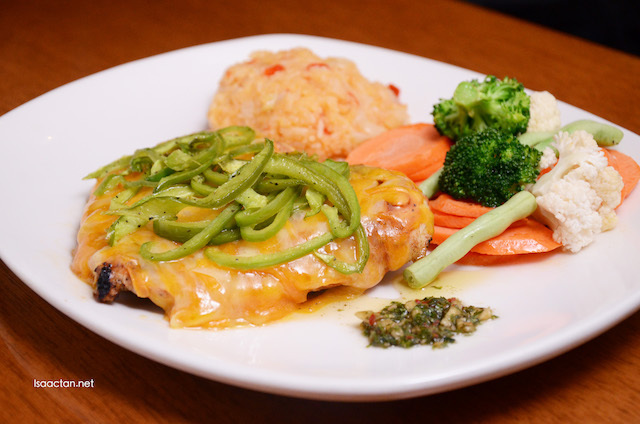 The Chicken Poblano is served with fresh steamed vegetables and rice pilaf, the chicken breast is doused with honey BBQ sauce and mixed cheese topped with grilled poblano peppers. Not bad, and the tender chicken breast makes this dish healthy in a way. All the lunch menu dishes served came with an offer of a Soup of the Day and a bottomless soft drink by just topping up RM8.43 (inclusive GST). Other dishes on the lunch menu includes Fish & Chips, BBQ Chicken Half, Steak Tips with Garlic & Peppers, Half BBQ Beef Ribs, The Outbacker Burger, Toowoomba Topped Dory and Brick Chicken. Walked past the place at Bukit Bintang so many times, next time...gotta make it a point to stop and give it a try.